We have lots of great KITCHEN STAFF TEMP shifts to fill every week. If you have already applied with us, you know it’s as easy as a quick e-mail to get in on these shifts. If you are new to Whistler Personnel, it’s as quick as filling out an application with us one time and you are set for future work! This week we are booking temps to work in a brand new cocktail bar and restaurant in the heart of Whistler Village, which is locally owned and operated, needs line cooks, kitchen helpers and dishwashers to help get them rolling. These will be fun shifts for anyone with culinary experience who enjoy being part of an exciting new restaurant opening and a great team. They will also have permanent positions available – so this is a chance to try it out and decide if you like it well enough to make it a permanent thing! DATES & TIMES: Lots of flexibility so you can pick your own schedule and pickup shifts that work for you! Shifts are expected to last 6-8 hours. Permanent positions are also available. Preference will be given to workers who can do multiple shifts each week. SKILLS / QUALIFICATIONS REQUIRED: Hard-working, friendly team player happy to pitch in where needed; physically fit and able to lift heavy loads (up to 40lbs); Food Safe and WHIMIS certification beneficial. 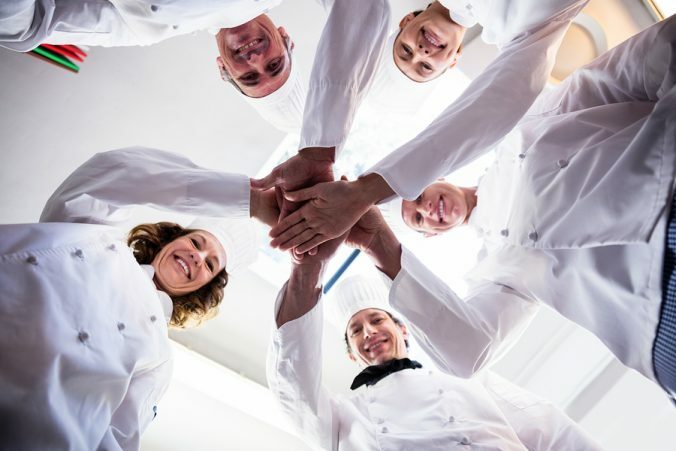 DUTIES INCLUDE: Prepping, cooking and serving quality dishes for a variety of local restaurants and hotels. Working a station and jumping in to assist as needed. SKILLS / QUALIFICATIONS REQUIRED: Experienced caterer, chef or line cook with 3+ years experience in a professional kitchen. Hard-working, friendly team player happy to pitch in where needed; Food Safe certification very beneficial. DUTIES INCLUDE: Prepping, cooking and serving basic breakfast dishes for a breakfast buffet. SKILLS / QUALIFICATIONS REQUIRED: Basic experience in a professional kitchen. Hard-working, friendly team player happy to pitch in where needed; Food Safe certification very beneficial. Whistler Personnel uses a progressive pay system that awards pay increases based on number of Successful Shifts completed. The more you work for us, the more you get paid per hour! Successful Shifts = be on time, work hard and make our clients happy. All shifts worked with WPS in any position count towards a higher Tier for all future shifts. To Apply: We move quickly to fill roles like these so contact us ASAP if you are interested. email info@whistler-jobs.com and confirm the days you are available and your contact details. Whistler Personnel has regular temp job opportunities for administrators, event crew, chefs, housekeepers, dishwashers, servers and bartenders. It’s a great way to pick up extra shifts during slower periods or days off. Submit your details to us including the type of work you want, the times and days you are available and the pay you require and we’ll notify you each time something suitable comes up.